Embrace your flannel shirts, infinity scarves, and love for all things pumpkin as you sail along the Washington D.C. waters on National Ferry Corporation's Fall Fest River Cruise! Enjoy a cider, pumpkin beer, sip on a glass of wine, or try our signature fall cocktail. Our friendly bartenders will be serving up autumn drink specials all cruise long! Enjoy seasonal favorites including ciders, pumpkin beer, wine, and signature cocktails while sailing around beautiful D.C. This 90-minute cruise begins boarding promptly at 5:30 from the Washington Marina. Don't be late! We set sale at 5:45 and are unable to hold the boat for late-comers. 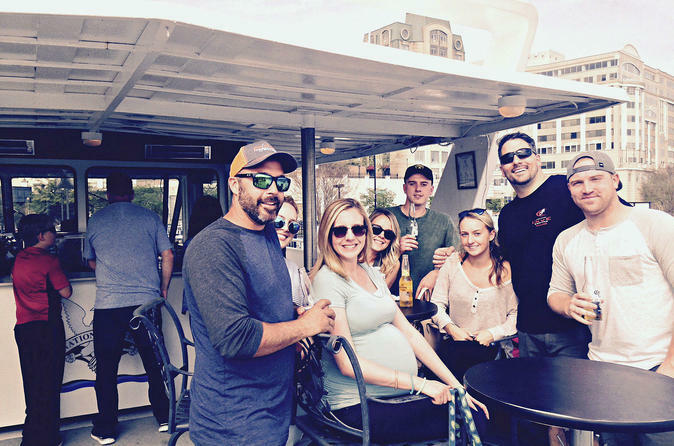 Enjoy a cruise of the DC rivers, taking in the city sights and architecture from the water. We return to the dock at 7:15. The pier is located on Maine Avenue SW between the Tidal Basin and The Wharf, directly behind the Mandarin Oriental Hotel. This ticket is non-refundable. We sail rain or shine and cannot hold the boat for late arrivals. Please plan to arrive 30 minutes prior to your cruise for check-in and boarding.